After choosing Rose Quartz and Serenity last year, Pantone goes back to its roots with Greenery, the 2017 Color of the Year. Each year, Pantone chooses a particular color that reflects that of the current cultural environment. For this year, the company chose Greenery, as a symbol of new beginnings. “Greenery bursts forth in 2017 to provide us with the reassurance we yearn for amid tumultuous social and political environment,” said Leatrice Eiseman, Executive Director of the Pantone Color Institute. Satisfying our growing desire to rejuvenate and revitalize, Greenery symbolizes the reconnection we seek with nature, one another, and a larger purpose. In their press release, Pantone described Greenery as a fresh and zesty yellow-green shade that evokes the first days of spring when nature’s greens revive, restore and renew. The institute is quick to point out that the choice was not influenced by the green of money or the recently concluded election. However, it does reflect the need to connect with nature after a divisive sociopolitical landscape. 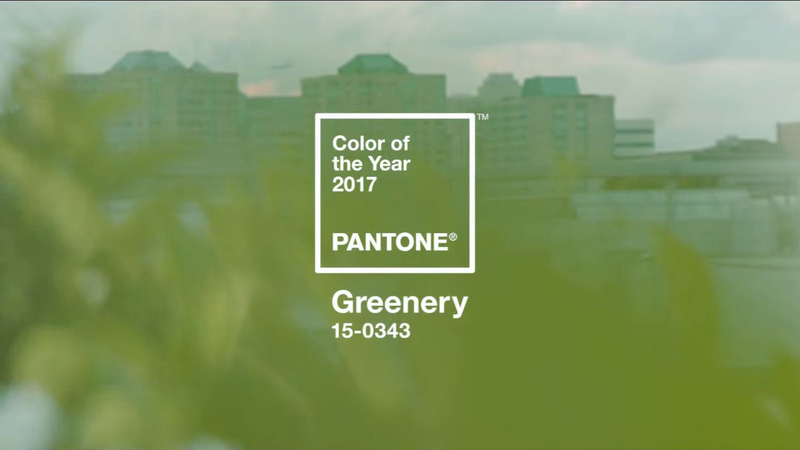 Pantone explains that Greenery is cultivated by the proliferation of all things expressive in daily lives through urban planning, architecture, lifestyle and design choices globally. As a color choice, the neutral Greenery is versatile enough to be combined in most colors. According to the institute, Greenery is best paired with neutrals, brights, deeper shades, pastels, metallics and even the Pantone Color of the Year 2016, Rose Quartz and Serenity. What do you think of Pantone’s Color of the Year choice? Tell us your thoughts below.